Define your purpose with these questions. Finally deciding to move on from your current job can fill you with equal-parts excitement and anxiety. At least, that’s how I felt when I decided I was ready to quit my administrative assistant job years ago. Excitement because I knew working in higher education wasn’t a fit, so moving on would mean I’m one step closer to a fulfilled career. Anxiety because I feared leaving one bad job only to end up in another, because now I had to actually figure out what that new job was, and because I also had to start another job search. If any of you are struggling with the whole “I want to figure out my next career move, but I don’t know where to start” conundrum, I can help. I successfully navigated my way from lost admin assistant to fulfilled recruiter to CEO of Career Contessa where I have the privilege of helping many women answer this exact question daily. 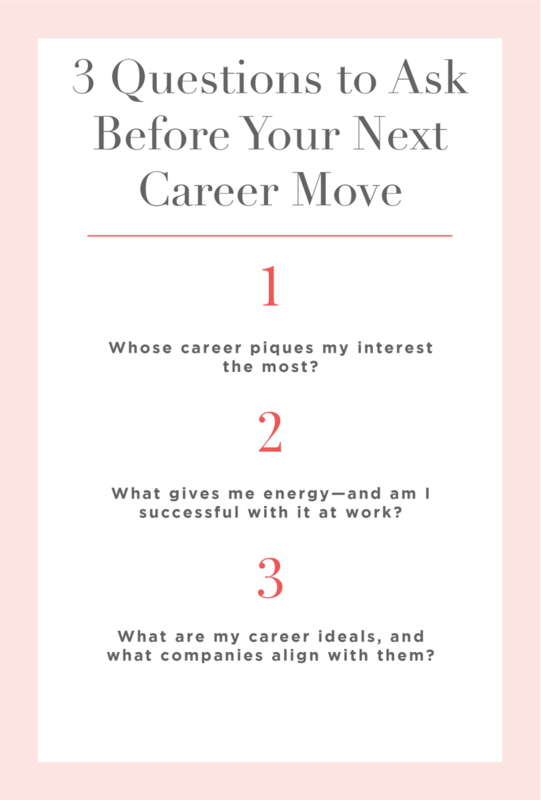 If you’re ready to jumpstart your next career move, try answering these three questions. Before you object, I know that comparison is the thief of joy—but only if you internalize it. For this exercise you must promise me that you won’t go down a rabbit hole of self-doubt or negative thinking. Instead, keep your focus on how getting proactive about your work will help you. Now that we have that out of the way, take a look at your friends, colleagues, family, and even strangers online, and write down the name and corresponding job title/company of any person whose career you admire. Ideally, make this list 15-20 people long. If you run short, you can scroll through women from our interview series, look around on LinkedIn, or try the “meet the team” pages of your favorite companies to fill up that list even more. Next, write down why you admire their careers. Is there a theme you can spot there? Do they all work for certain types of companies? Are they part of large or small organizations? In as much detail as possible, answer why they made the list. Lastly, take a red pen and circle the themes you see emerging. Are you able to narrow down a few common job titles or company types? For example, if you wrote “Emily Schuman” and “fashion,” you might want to research a career working in influencer marketing for a fashion company. Once you identify these “themes,” start scheduling informational interviews with people in those careers. So, using our example again, you’d try to find five people that work in influencer marketing to learn more about that profession. Here’s more advice on informational interviews, too. 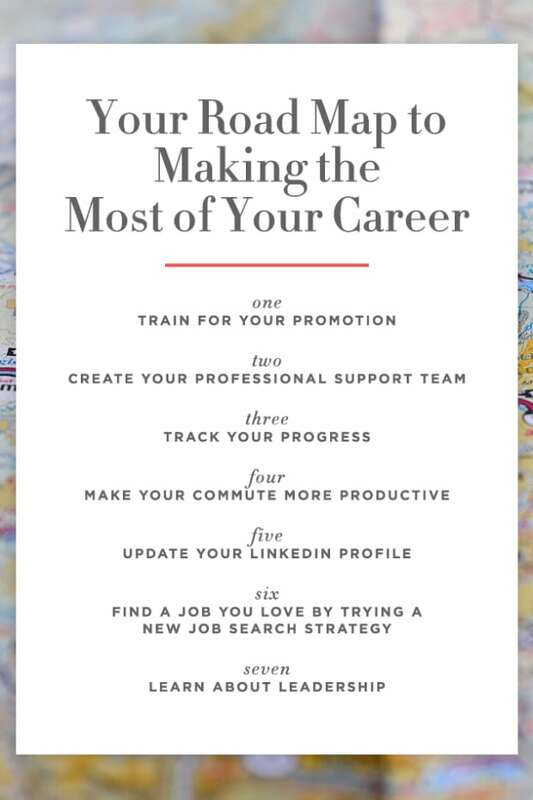 You want your next career move to align with your strengths and be something you like, right? Right. And answering these questions will help you make sure you know what you want in your next role. Start by tracking your activity in your current role. At the end of each day or week, answer these two questions. The trick here is that we ideally want to find activities that apply to both questions. For example, maybe public speaking gives you a lot of energy and you have evidence to prove you’re good at it because at the last team meeting, you received a lot of praise for walking the team through XYZ project clearly and concisely. This means public speaking is not only a strength, but you can also use this skill to benefit a company. Make sure you look for a job that requires presentations or talking to people. Maybe sales or business development are great departments for you to learn more about. 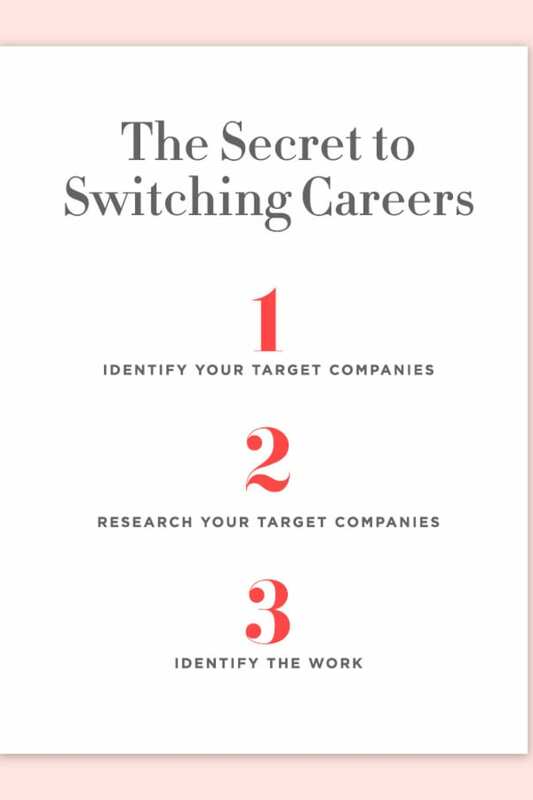 My best tip for answering “What’s my next career move?” is to focus on targeting companies that align with your personal and professional goals rather than getting too focused on the job title. Making sure you work at a company who has similar values, a product you’re passionate about, or even offers the perks you need to build your best life and career can make ALL the difference with your overall sense of fulfillment. 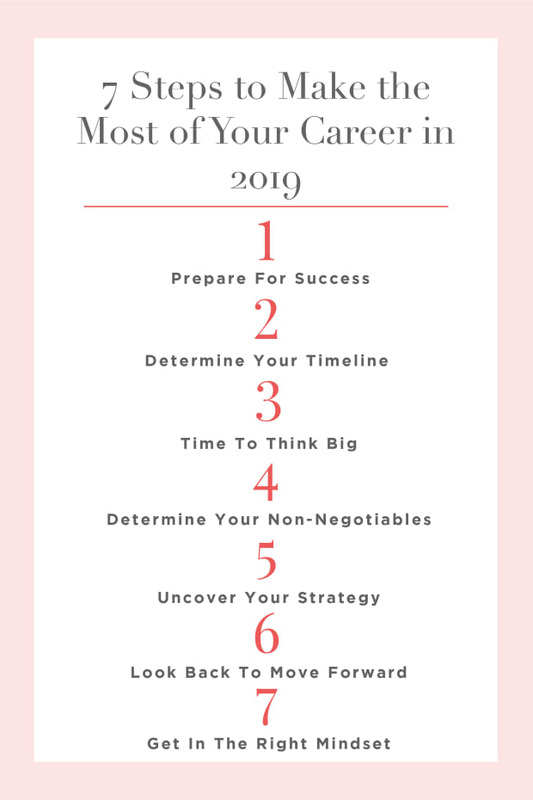 I have a great worksheet that will take you step-by-step through this process of figuring out what you career ideals are. When you’re going through it, be stern about what you know matters to you. I guarantee if you get your dream job, but it’s at a company that doesn’t align with you, you’ll be looking for a new job again sooner rather than later. For next steps, fill out this worksheet, then create a list of 5-10 target companies. Find some people that work at those companies to schedule informational interviews with so you can learn even more about the culture. Then remove any companies that don’t make the cut. I know that figuring out your next career move can feel like a very heavy weight on your shoulders. Break down the process into smaller, more manageable steps so you’re not only making progress, but you’re gaining more clarity for what you want along the way. I also want to hear from you! 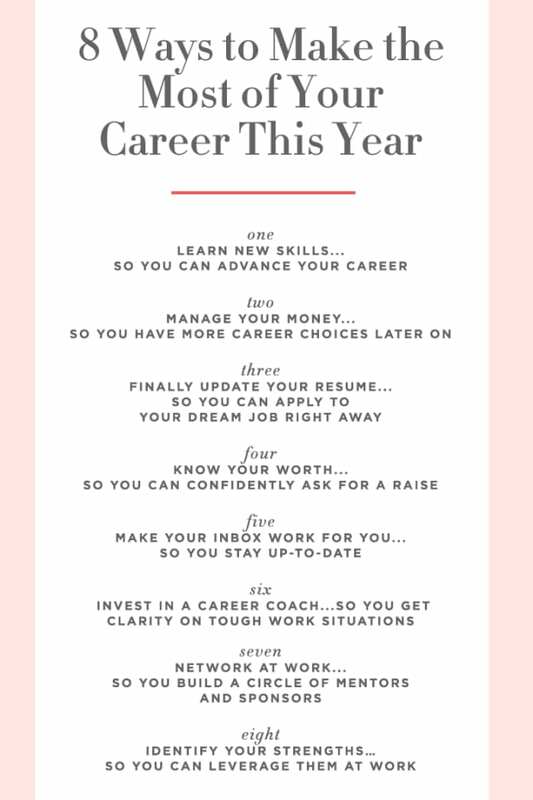 What other tips have you used to help you determine your career moves? Have you tried any of the tips I mentioned above?